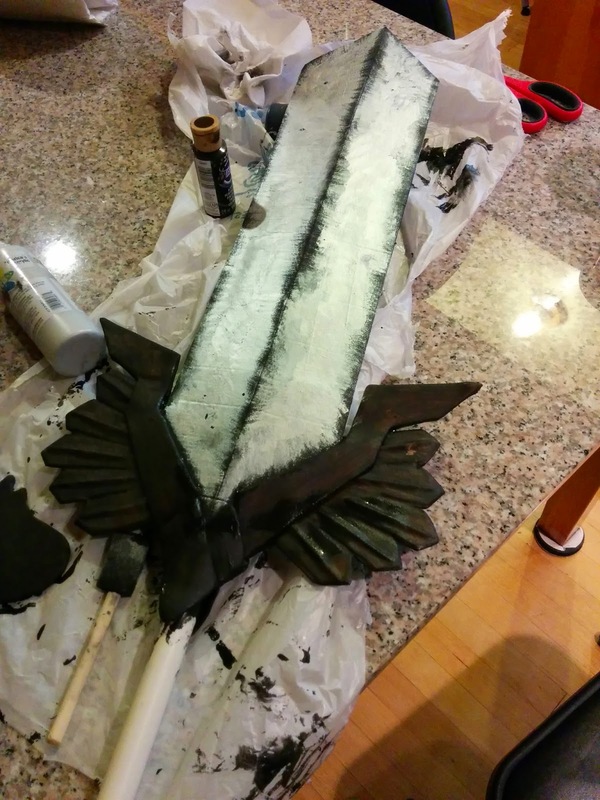 I'm retrying some of Kamui Cosplay's painting techniques. One in which you paint the base colour of your prop what you want the burnished colours to be. I hadn't liked this technique in the last because it waste a lot of paint, and I can find I can achieve the same outcome with the opposite technique of applying the burnished colour afterwards. I will admit, but made it much easier to ensure that the burnished colour are within the tiny crevices of all of the seams. I think I need to continue practicing between both painting orders to see which one I really prefer.